Often the person behind the guitarists, bass players, and lead singers doesn’t get as much attention as the other band members, and even in major orchestras the drummers still don’t receive the attention that they deserve. Buy a single copy or subscription to Modern Drummer magazine. However, the prowess as the main foundations for almost every song is certainly one of the main attributes. Modern Drummer magazine finally gives drummers that recognition that they certainly deserve. If you are looking for a magazine that takes a deep and interesting look into the entire world behind the drummer, than this magazine is easily the most detailed, most interesting, and certainly most fun magazine there is out there. It seeks to cover all aspects revolving around the world of drumming, such as interviews with the best drummers from around the globe, in-depth looks into the various styles of drumming, and reviews of the best drum and percussion gear out there. 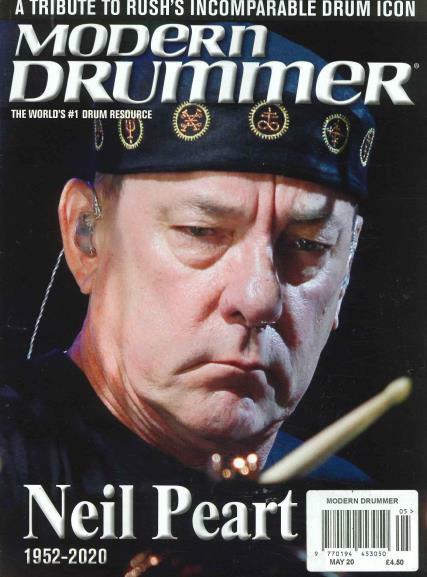 This magazine is packed with the latest news and the best reviews concerning drummers everywhere, and each issue contains heaps of the best product reviews of gear that you should add to your drum kit.